← Design Culture Salon 17: Imitation, Inspiration or Theft: What does intellectual property mean in a global design economy? Following its summer recess, the University of Brighton/Victoria and Albert Museum Design Culture Salon returned with yet another belter of an event. They seem to get better and better. Described as a ‘dream panel’ by one VIP attendee, the combined force of ideas and insights that emanated from it filled the packed room with Friday evening energy. Then you have to understand how these are applied in different territories. For example what is the World Intellectual Property Organization and its Patent Cooperation Treaty? And the Hague System for the International Registration of Industrial Designs and its International Trademark System Patent Cooperation Treaty? But, for my money, when you look at individual cases of IP it becomes fascinating. They tell us as much about differing cultural and intellectual practices of places as about their legal systems. Furthermore, as it became very apparent through the evening, the creative industries are very much built on unashamed borrowing, quoting, cutting and pasting, improvising on, extending from and so on. However, its open culture of sharing may seem at odds with the privatizing impulses of IP. Fashion law expert, Tania Phipps-Rufus reminded us that policy often tells us that IP is a good thing for protecting creative invention and yet, the fashion industry, for example, relies on the continual recycling of ideas. She describes this as an ‘open ecology of sharing’. Digital technology means that design ideas circulate much more rapidly these days and designers have much more direct access to global recognition. At the same time, their work can be copied that much more easily by a broader constituency. Meanwhile, luxury brands like Louis Vuitton or Ralph Lauren are really hot on defending their IP. They have the funds and legal back-up to be able to defend their monopolies on particular styles. As Head of Innovation and Research at the Designers’ and Artists’ Copyright Society (DACS), Mark Waugh is involved in protecting the marketplace for creative practitioners. DACS acts to collect fees for the licensing of creative work for reproduction, returning £15m to its registered participants last year. Nonetheless, he recognizes that postmodernism has involved a process wherein ‘the signature is broken apart’, as he put it. While contemporary capitalism places a pressure for differentiation into the marketplace, reproduction doesn’t necessarily mean copying. Nothing is the same. His observations back-filled the legalistic discussions with compelling philosophical arguments as to the nature of originality. Arti Sandhu, drawing from her extensive research on and knowledge of Indian fashion, brought in important reflections from beyond the global North. At one level, she observes that there is a complicated exchange going on in Indian high fashion. This involves a to-ing and fro-ing of ‘orientalism’ whereby eventually, at times, Indian fashion recycles Western notions of Indian styles — a kind of re-orientalist design strategy. Origin gets problematical here. Meanwhile, craft in much of India is an evolutionary process, rather than emphasizing newness. It is something that is practised collectively where novelty can be frowned upon. This therefore makes it difficult to pinpoint where the innovations lie. In summary, it seems that IP sits in a tangled web of cultural identity, tradition and positioning. 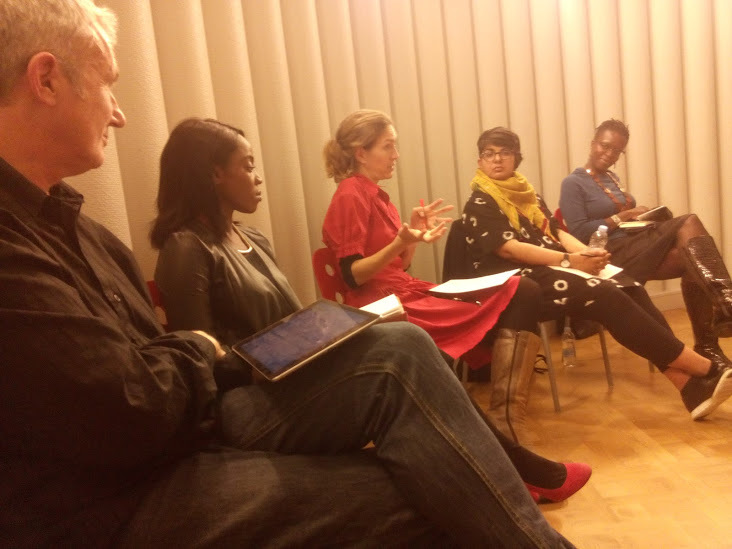 Landé Pratt, whose academic work interestingly sits at the interface of IP law and the creative industries and media and communication studies, also discussed issues of the global South in her intervention. She drew attention to how, for example, in many African states there is an ingrained culture of openness and sharing with regards to ideas and innovations. She aligned this with ‘call and response’ modes of public gatherings in sub-Saharan Africa. There has been plenty of looting of cultural value from the global South, however: the Massai brand has been appropriated by no less than six multinational corporations, for instance. Building on Tania Rufus-Phipps’s observations, Landé argued for a kind of hybridity in IP where openness and copying could interlink with legal protection. One of the big challenges in harnessing such a balance is in ensuring that this works equitably across territories. Design historian Sarah Teasley reminded us of the longer lineage of IP debates. We might take the discussion back to the 15th century and the rise of print, as a Salon attendee argued later. Or, as Sarah showed, we may take on board the refining of patent law in 18th century England. But she also used the example of Japan in the 1950s to show how IP can indirectly affect design and benefit designers. The drive in Japanese political economy was to distance it from the stereotype of one that merely copied. Companies were encouraged to embrace IP. As a result, more designers were hired to help them create differentiated products. Ultimately, and this is fascinating not just for design historians, patents and other forms of IP are also cultural artefacts. They reflect social, political and economic norms in various territories. Law legitimizes culture. This issue of the indirect effects of IP on design and design practices leads on to the question of why so few designers protect their own work. A Design Council report of 2010 showed that 66% of design companies did not ‘do’ IP at all and only 1% of them benefitted from royalties. After all, most designers sell IP to clients and, in any case, they don’t want to get stuck into the legalistic quagmire of IP — they just want to get onto the next project, I argued. Tania Rufus-Phipps followed on from this to suggest that IP is only really an issue for designers when it goes wrong. One of the big problems here, currently, is that much IP is not really fit for purpose. Landé Pratt agreed that much IP law is out of sync with creative practices. There needs to be a deeper understanding of how design industries function if they are to be better protected from a legal standpoint. In discourses around IP, there often tends to be an oppositional dualism invoked: privatization v. commons; IP v. Open Innovation; scarcity v. abundance and so on. Mark Waugh suggested that the enclosures have always been around: there has always been privatization and protectionism, although it has been played out in different ways through history and in different geographical contexts. There is a tendency to romanticize a mythical, libertarian past. Nonetheless, these days there is an issue of corporations ‘hoovering up’ IP — laying claim to an invention before someone else does, whether they use it or not. Again, this suggests that a more rounded approach to IP needs to be taken on the part of policymakers that works for a broad and varied constituency. There is still plenty to play for. In finishing, Landé Pratt argued that greater harmonization of IP between regions will provide a more level playing field for actors around the world. Arti Sandhu observed how IP is beginning to push back against cultural appropriation. Sarah Teasley agreed that it could be a tool for addressing power imbalances. Tania Rufus-Phipps suggested that there could also be more flexibility in IP law to allow for cultural difference. Mark Waugh concluded by reminding us that IP is still a source of livelihood for many creative practitioners. But we all agreed that those creative practitioners need to be much better informed about how IP functions, who it is for and what are its benefits and pitfalls. This entry was posted in creative industries policy, fashion, intellectual property. Bookmark the permalink.